PLANO, Texas - May 15, 2016 - PRLog -- Patrick Bricker affiliates with RE/MAX DFW Associates' office in Plano. Prior to commencing his career in real estate, he was the CEO for both non-profit and profit organizations. From his previous work, he brings outstanding leadership abilities and possesses strong decision-making and problem-solving skills to the team. "I found that RE/MAX DFW Associates is a good fit for me because of their very talented and productive group of agents and I strive to become one as well," he said. "I excel in selling, negotiating and managing my time; therefore I'm confident I will be successful here at RE/MAX DFW Associates. Also, my wife Kristin Bricker works at RE/MAX DFW Associates too, so it's a win, win for me." Blair Taylor, the manager of the Plano office, spoke highly of Patrick's joining by stating, "Although, Patrick has been practicing real estate for less than a year, he is a true professional who has a strong dedication and passion to assist his clients. He is a great presenter and understands his clients' needs and goes beyond and above to fulfill those needs." 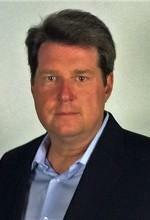 Originally from Ohio, Patrick moved to the Dallas area about 36 years ago and has vast knowledge of the DFW area. This will benefit his clients when searching for the perfect location to reside in. Patrick is married and a father to one son. He earned his Bachelor's degree in Advertising and Marketing from Southern Methodist University. Patrick Bricker can be contacted at the Plano office of RE/MAX DFW Associates at 972.801.2408 or via email at Patrick.Bricker@rmdfw.com. He can assist with any listing in the North Texas Regional MLS System, as well as any of the firm's active listings, which can be viewed at www.YourHomeTownPro.com.